Why Was Gold Slammed And The Dow/SPX Pushed Higher? The Trump Presidency is floating on the fumes of questionable sanity as an impeachment Bill is being sponsored in the House by 25 Reps. The case to be made that Trump is not mentally competent enough to have his index finger on the red button that launches nukes at Russia grows stronger by the day. At 4:01 EST, a paper gold nuclear bomb was detonated in the Comex Globex computer system. The graph above is just the August “front month” paper gold contract on the Comex. 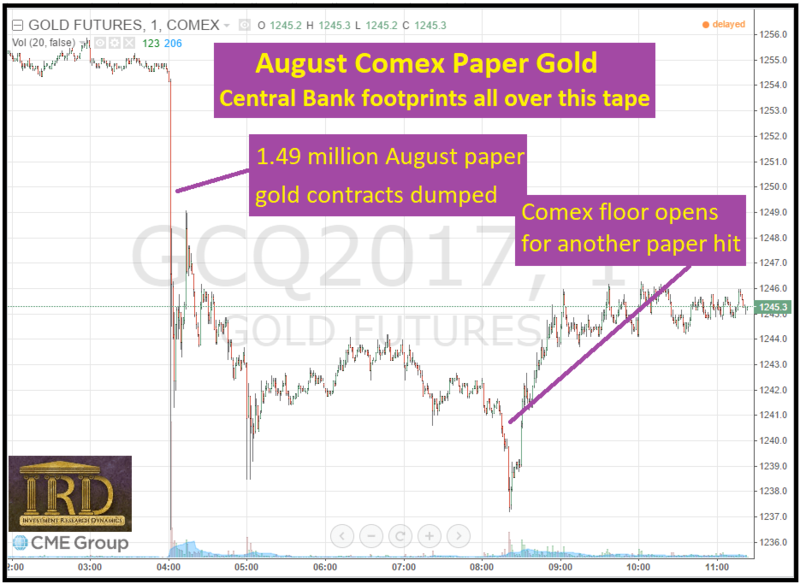 In that contract 1.49 million ozs of paper gold were dumped into the Comex electronic trading system. Zerohedge is attributing 1.88 million ozs. That would include the selling in all of the paper gold contract months. But that’s not the entire amount of the paper hit. There would have been a large amount of LBMA gold forward paper gold contracts dumped in correlation with the Comex paper avalanche. ZH attributes $2.2 billion in paper gold dumped. But the real number including LBMA forwards dumped was much larger. “The mysterious plunge has the market spooked,” says some idiot named Bob Habercorn from RJO. This was not “mysterious.” It was intentional – a shock and awe market intervention that was intended to “spook” the market. That quote is from a Bloomberg report full of fake news (caution, this article contains fake news: LINK). The article claims that China bought less from Hong Kong in May. In fact, the amount of gold exported from Switzerland to India and Hong Kong was up 39% from April, according to Platts. Furthermore, we have no clue how much gold moves into China through Beijing and Shanghai, numbers which are intentionally hidden from the world. Two of the largest buyers of physical gold in the world right now, India + Turkey, were closed for the observance of a religious holiday. And Shanghai closed for the day 31 minutes before the paper dump. 4:00 a.m. EST is one of the slowest, lowest volume trading periods during any 24 hour period. Why would a seller of a large number of contracts sell at that time of day, when the largest buyers of what is being sold are not in the market at the time of the sale? If it were merely a “fat finger” – the fake news narrative – then the mistake would have been immediately corrected and the price would have quickly recovered. Anyone who buys the “fat finger” story is either tragically ignorant or hopelessly naive. When India returns tonight to the market, I would expect gold to get a strong bid. Indians have a habit of buying a lot more physically deliverable gold than they might have otherwise when the western Central Banks put gold “on sale” by lowering the price in the paper market. I suspect Turkey and China will increase their appetite as well. Gold and silver have been sold down pretty hard since April 18th. But the structure of the weekly Commitment of Traders report, which shows the long and short positions of the various trader classifications (banks, hedgers, hedge funds, other large investment funds, retail) had been flashing a short term sell signal for the last few weeks. 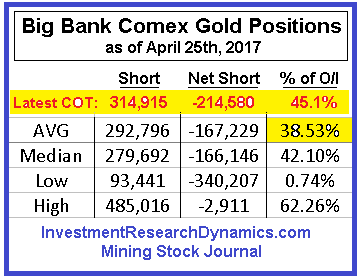 The net short position of the Comex banks and the net long position of the hedge funds had reached relatively high levels. Except Thursday (May 4th), almost all of the price decline action was occurring after the London p.m. gold fix and during the Comex floor trading hours, exclusively. This tells us all we need to know about the nature of the selling, especially given the enormous amount of physical gold currently being accumulated by the usual eastern hemisphere countries. The table to the right calculates the Comex banks’ paper gold positioning going back to 2005. As you can see, currently the net short position and the net short position as a percent of total open interest has reached a relatively high level. This typically happens when the banks engage in raiding the Comex by unloading massive quantities of paper gold in bursts in order to trigger hedge fund stop-loss selling. It serves the dual purpose of pushing down the price of gold and providing a relatively riskless source of profits for the banks. This is the cycle that has repeated numerous times per year since 2001. This time, however, more than any other time since 2001, the sell-off in the price of gold is counter-intuitive to the collapsing financial and economic condition of the United States, specifically, and the entire world in general. The likely reason for the current price take-down of gold is an attempt by the elitists to remove the batteries from the “fire alarm” mechanism embedded in a rising price of gold. An alarm that lets the populace know that there’s a big problem that will hit the system sooner or later; an alarm that lets the public know systemic failure is beyond Government and Central Bank Control. A similar manipulated take-down of the price of gold and silver occurred in the spring of 2008, ahead of the great financial crisis. Gold was pushed down to $750 from $1050 and silver was taken down from $20 to $10. This price decline was counter-intuitive to the collapsing financial condition of the U.S. financial system, which had become obvious to anyone not blinded by the official propaganda at the time. Of course, after the financial collapse occurred and was addressed with money printing, the price of gold ran up to an all-time high. It’s likely that a similar situation is taking place now. Only this time around all “assets” are in price-bubbles fomented by record levels of fiat money creation and the interminable expansion of credit. The debt portion of this equation is getting ready to hit the wall, the only question is timing. This explains the parabolic move in the price of Bitcoin. Bitcoin is nearly impossible to manipulate. Once the western Central Banks lose the ability to manipulate the price of gold in the derivatives markets, the price of gold and silver will go on their own parabolic price journey – one that will leave the price of Bitcoin in the rear view mirror. 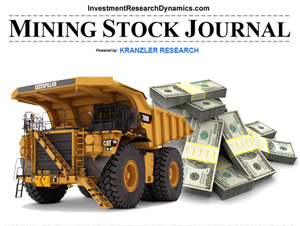 If you are interested in getting unique, insightful gold/silver market analysis and mining stock investment ideas ahead of the market, subscribe to the Mining Stock Journal. You can get more information about this here: MSJ subscription info. On April 11th, the CME and England’s Royal Mint announced that they were testing a blockchain-based platform for trading gold. 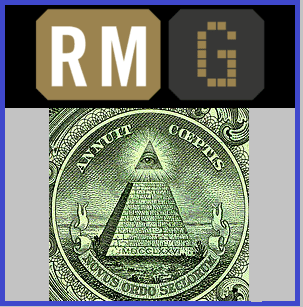 The product to be traded is a new crypto-coin called, Royal Mint Gold (“RMG”). The token will be issued by the Royal Mint and will represent the digitized version of 1 gram of gold. The gold will be stored in the Royal Mint’s vaults. This news announcement was surprisingly overlooked by the alternative media, except for Rory Hall at his Daily Coin website: CryptoGold and Thieving Bankers. However, the fact that the CME is involved should have set off the smoke alarms throughout at least the segment of the alternative that seeks to shine the light of truth on precious metals trading and ownership. This is because the concept of a “new alternative way to trade gold” is an extension of the “fractional gold and silver bullion market” that is driven by the paper derivative precious metals products traded on the Comex and the LBMA. RMG®, an innovative new product launching in 2017, will provide the investment performance of the London Gold Market with the transparency of an exchange-traded security. RMG holders will negate counterparty risk, by having direct ownership of physical gold bullion where each RMG represents ownership and full title to 1g of physical gold bullion held in the form of fully allocated, LBMA Good Delivery Bars within The Royal Mint’s vault. We believe these features, coupled with the guarantee of zero ongoing annual management fees and free storage, represents one of the best and cost-effective ways to invest in physical gold today. At any time RMG can be redeemed for physical gold bars and coins produced by The Royal Mint, with physical delivery. The basic tenet of the RMG is that “counter-party” risk is eliminated because the buyers are purchasing direct ownership of gold that is stored in the Royal Mint’s vault. However, the idea of custodial possession – where the owner trusts the safe-keeping of an asset with a third party – is in and of itself a primary source of counter-party risk. The first law of ownership of gold is that you do not fully “own” it until it is in your personal possession. Just ask the German Government. The second myth in that statement above by the Royal Mint is the gold is held in the form of fully allocated LBMA Good Delivery Bars (in the Mint’s vault). This is GLD’s holy grail claim as well. The problem, again, is accountability. Until gold custodian’s are willing undergo a fully independent 3rd party audit at any time and without advance notice, it’s silly to assume that these custodians possess full, legal title to the gold they are reporting to be in their vaults. The poster-child example is the U.S. Federal Reserve, which has spent millions to avoid the prospect of a legally enforced audit of its gold vaults by a third party, fully independent auditor. The Shadow of Truth discusses this new mechanism of deceit in today’s podcast and we explain why it’s riddled with counter-party risk and the potential for fraud on the same scale as Comex and LBMA gold and silver derivative products. It’s not an accident that the hit to gold and silver came AFTER the London PM Fix. We’ve got physical gold demand in Asia that is downright explosive (I’ll document this in a separate article later this week because no one has done a comprehensive painting of all of the trends in once place) and the cartel apparently wanted to hit metals as well as push long-term bond yields up and prices down to reflect a fake steepening of the yield curve to help banks improve solvency while sending a fake signal of a strong economy. The London market is still a large physical settlement market and if this hit came before the London PM Fix there would likely be a large amount of off-take stimulated as Asian buyers scarf-up more physical. What to do? Kick the crap out of gold and silver after the fix, and hope that sentiment is gravely wounded over the subsequent hours and before the next major physical settlement potential of tomorrow’s London PM Fix. When you look at the news headlines for all assets and political issues there’s no good reason for this move other than the coordinated actions and statements in the media by Mnuchin, which was clearly well timed to deal with the ongoing challenge of steering precious metals down, steepening the yield curve to help banks survive because they can make more profit with a sloped yield curve spread to help pad their balance sheet over time while sending a fake signal about a strong economy implied by an upwardly sloping yield curve. 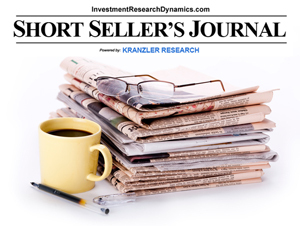 Will Physical Gold/Silver Demand Prevent A Bigger Sell-Off? The precious metals market has been under attack for the last two weeks by the Comex banks who have once again built-up an extreme net short position in their paper gold and silver positions. In fact the open interest in paper silver recently set a new record high, exceeding the previous high set in 2011, when the price of gold was approaching $50. That it took a record amount of paper silver creation to keep the price of silver below $20 a sense of desperation by the banking cartel in its effort to keep gold and silver “irrelevant” as an investment. But the price action of the metals is behaving somewhat differently from past cycles when the banks decide to flex their muscles and trample on the precious metals market by bombarding the Comex with thousands of gold and silver contracts in order to disgorge the long positions held by hedge funds and create intermittent “waterfall” sell-offs. 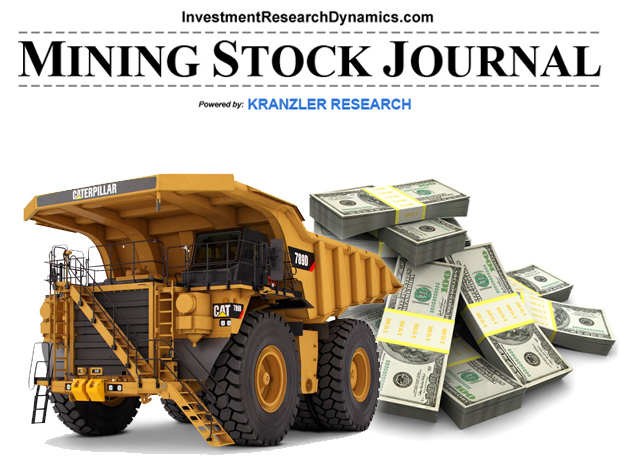 The next issue of the Mining Stock Journal, released this evening to subscribers, will have new junior explorer idea with 5-10x upside potential. It will also have an alternative explanation to the JNUG suspension of new unit issuance and why this could be very bullish for the sector. 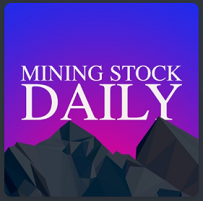 You can find out more about subscribing to the MSJ here: Mining Stock Journal Subscription Info.